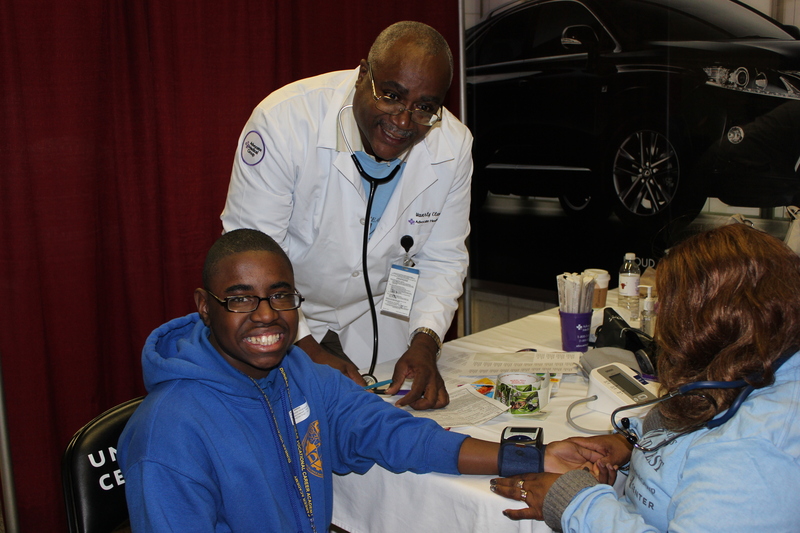 On Oct. 22, the United Center played host to student athletes, coaches, healthcare professionals and volunteers throughout Chicago. They were all there for the 16th Annual Chicago MedFest. Between 7 a.m. and noon that day, more than 1,600 current and aspiring Special Olympics Illinois athletes, drawn from Chicago Public Schools and other partnering agencies, received free sports physicals from Advocate Medical Group professionals. Medical clearance is required by Special Olympics to guarantee athlete safety, and receiving this physical exam clears athletes to participate in the program for two years. Simply put, MedFest provides an easy, free and accessible point of entry for nearly half of the Special Olympics athletes in Chicago. View photos from MedFest. MedFest is just one part of our total Healthy Athletes offerings. In addition to the sports physicals, 158 athletes had their vision evaluated through the Special Olympics Opening Eyes program. The Illinois College of Optometry staff offered vision screenings to these students and provided free onsite glasses if needed. Of the 158 students who had their vision tested, 20 percent of them were there for the free eye exam alone. This number is increasing as more athletes learn about the availability of this and other Healthy Athletes programs. Athletes of all ages, ranging from early education to high school and older, were in attendance. For the third year in a row, we saw an increase in the number of Young Athletes who received a screening. This step is crucial to the success of their eventual transition into the traditional Special Olympics program when they become age-eligible. Those waiting for their physical had a front row seat to watch the Chicago Blackhawks practice. Players and coaches tossed pucks to several lucky athletes. After they completed their physicals, these athletes were treated to a delicious boxed lunch, provided free of charge by Levy Restaurants. 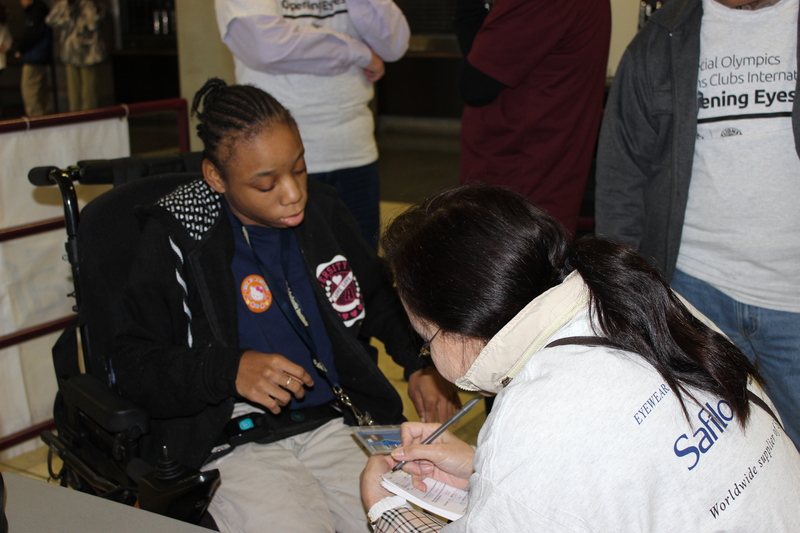 Special Olympics Illinois coordinated and covered the cost of transporting athletes to the United Center and returning them to their respective schools and agencies. MedFest was created in an effort to involve more children and adults into the program as many athletes – for one reason or another – are not able to obtain this sports physical on their own. Healthy initiatives like these speak to the broader scope of the Special Olympics Illinois’ mission and to the many ways the organization positively influences the lives of its participants. Thank you to Advocate Medical Group, United Center and Levy Restaurants for their in-kind support of this event. Furthermore, MedFest is made possible through grant and volunteer support from BlueCross BlueShield of Illinois, BlueCross BlueShield Association, GE and Mattel, with additional grant support from the Stack Family Foundation. Without these partners, none of this would be possible.